Alfred William Parsons worked both as an artist and as a professional garden designer. He trained briefly at the South Kensington School of Art and went on to establish himself as a successful and widely exhibiting illustrator, watercolourist and painter in oils. 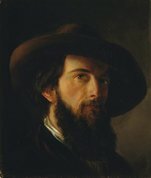 Important solo exhibitions of his work were mounted at the Fine Art Society in 1885, 1891, 1893 and 1894. He was made an associate of the Royal Academy in 1897 and a full member in 1911. 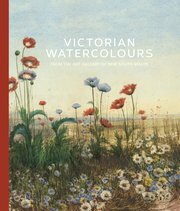 In 1899 he left the Royal Institute of Painters in Water Colours and was elected an associate of the older Royal Society of Painters in Water Colours, eventually succeeding Sir Ernest Waterlow as president in 1913. Parsons was working as an illustrator for the American magazine Harper’s when he came to the attention of the garden writer William Robinson, the main populariser of the idea of deliberate wildness in gardening. Robinson commissioned Parsons to illustrate his books, The wild garden (1881) and The English flower garden (1883), and was an important influence when Parsons embarked in the late 1890s upon a career as a garden designer. In 1896 Parsons published a horticultural travelogue, Notes in Japan , and in later years was a judge of the Chelsea Flower Show.